Former Barcelona and Brazil star Rivaldo has expressed his surprise at the results of the Ballon d'Or, stating that Juventus star Cristiano Ronaldo should have won the award, with Barcelona ace Lionel Messi at least in the top three. Predictably, Croatia and Real Madrid midfielder Luka Modric took home the coveted prize this year, breaking the decade-long duopoly shared by Messi and Ronaldo over the award. Having won the FIFA Men's Player of the Year and the UEFA Best Player of the Year awards, the Croatian was the top favourite from the start. The midfielder was recognized for his contribution in Real Madrid's Champions League in May as well as his exploits in Russia, where he led his country to their first FIFA World Cup final ever. Ronaldo finished second in the rankings followed by Atletico Madrid star Antoine Griezmann. Messi, on the other hand, finished outside the top three for the first time since 2006, sitting at fifth place behind PSG youngster Kylian Mbappe. 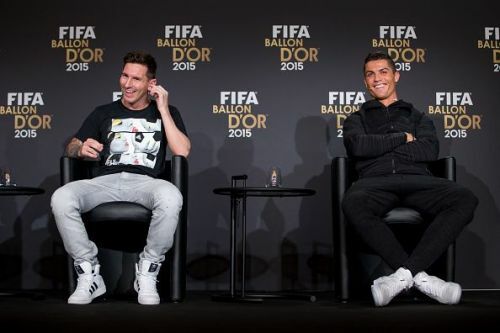 Rivaldo has now expressed his disappointment in the Messi-Ronaldo snub in an interview with Betfair. The Brazilian said, "It's always tough to give your opinion about this subject." "Luka Modric had a great season in 2018, winning the Champions League and helping Croatia to be World Cup final, but if I had to choose, I would vote for Ronaldo." "The Portuguese scored a lot of goals last season, won the Champions League - scoring a sensational goal against Juventus away from home - and proved his value at the World Cup scoring four times, including a hat-trick against Spain, so I believe that he deserved the award more than anyone else." "And then, we also have Lionel Messi who should have been at least in the top three." The former Barca man was baffled that another player won the award despite the fact that the two five-time Ballon d'Or winners had good seasons. "Honestly, I can't see why things have changed this time - removing the focus from Cristiano and Messi - because both of them had good seasons." "Some people are mentioning that Ronaldo's club change could have contributed to losing the award, but I don't agree with that as most of the decisive moments had already happened when he left Real Madrid to sign for Juventus, so there are no reasons to consider that a handicap." "I think this change of focus could be an attempt to at least for a year write a different name in the history instead of still mutating from Ronaldo to Messi and Messi to Ronaldo." While Ronaldo's Juventus will face Young Boys in a Champions League clash on Thursday, Messi's Barcelona will go head-to-head with Espanyol in La Liga tomorrow.